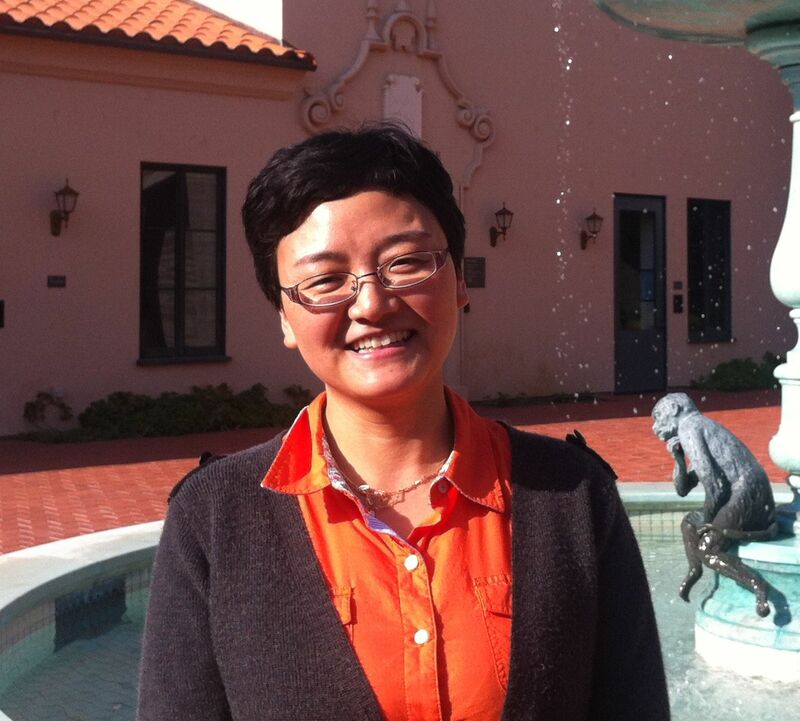 During her time here, Dr. Wang will be working with UCLA/Getty Program chair Dr. Ioanna Kakoulli, as well as other colleagues in the UCLA/Getty Conservation Program and the Cotsen Institute of Archaeology. She will continue her research on beads and pigments focusing on the use of LA-ICP-MS, lead isotopic analysis and microscopy for their analysis. She is also focusing on ancient Chinese scroll paintings and hopes to connect with conservators, scientists and scholars on the identification of deterioration issues and solutions for preserving the paintings. Categories: Visiting Scholar/Lecturer | Tags: analysis, archaeometry, beads, glass, pigments, visiting scholar | Permalink. In the fall of 2009, the UCLA/Getty Conservation Program offered the course “Introduction to Archaeological Materials Science: Scientific Techniques, Methodologies and Interpretation” (CAEM M210) that focused on basic scientific techniques employed for the examination of archaeological and cultural artifacts to answer questions of anthropological significance and their state of preservation. Among the techniques covered were UV/VIS/NIR spectrophotometry, X-ray fluorescence (XRF), X-ray diffraction (XRD), scanning electron microscopy and energy dispersive spectroscopy (SEM-EDS), and Fourier Transform Infrared Spectroscopy (FTIR). Students were assigned small research projects in which they would apply these techniques, in addition to others discussed in this and other courses, to the investigation of various materials to answer questions about technology and condition. At the end of the term, the students presented their poster, which was displayed at the Cotsen Institute of Archaeology. Below are two of the posters produced as the final project for the class. Make sure to stay tuned to this blog for upcoming posts on the other posters presented, as well as future student projects. A series of 5 blue and 5 red pigment samples from the Enkleistra of St. Neophytos, the place of reclusion, in Paphos, Cyprus were analyzed to determine the pigments identity and possible alteration products. Fourier Transform Infrared Spectroscopy (FTIR), Variable Pressure Scanning Electron Microscopy – Energy Dispersive X-ray Spectroscopy (VPSEM-EDS), Polarized Light Microscope (PLM), and Binocular (stereo) Microscope (BM) were used to analyze the samples and due to the limitations of the techniques, only inconclusive assignments can be made on the pigments’ identity. From elemental analysis it is suspected that the blue pigment is lapis lazuli and that there are two different red pigments which are cinnabar HgS and red lead (Pb3O4). However, without phase analysis of these samples, a positive identification cannot be made. Alteration of red to black and dark blue to light blue were observed for the samples analyzed. A possible alteration of Cinnabar is to metacinnabar. Documented alteration products of red lead are to plattnerite [β-PbO2] and anglesite [PbSO4]. Fading of lapis lazuli has been attributed to the breakdown of the Al-O-Si in the literature. However, it was not possible to verify if these are the alteration products with the available tools. them. Standards of human hair and alpaca were used for comparison. Fourier transform infrared spectroscopy (FT-IR) spectra were collected on the samples and standards. The morphology of the fibers and standards were examined using polarized light microscopy (PLM), scale casts and cross-sections. The spectra from the FT-IR analysis could not be used to differentiation between human and alpaca hair. Based on morphology, three samples were identified as camelid and two were tentatively identified as human. Categories: Uncategorized | Tags: alpaca, alteration, analysis, Byzantine, camelid, Chile, Cindy Lee Scott, cinnabar, Cotsen Institute of Archaeology, Cyprus, Elizabeth Drolet, fibers, Fourier transform infrared spectroscopy (FTIR), Fowler Museum, human hair, James Ma, Kakoulli, lapis lazuli, mummy bundle, Nicole Ledoux, pigments, Polarized Light Microscope (PLM), Robin O'Hern, Sara Kiani, Saurabh Sharma, St. Neophytos, Steven Brightup, Tarapaca Valley, Tessa de Alarcon, UCLA, UCLA/Getty Program, UV/VIS/NIR spectrophotometry, Variable Pressure Scanning Electron Microscopy - Energy Dispersive X-ray Spectroscopy (VPSEM-EDS), wall painting, x-ray diffraction (XRD), X-ray fluorescence (XRF) | Permalink. The work described in this poster was conducted as part of a Master’s thesis project for the UCLA/Getty Conservation Program and presented at the Annual Conference of the Association of North American Graduate Programs in Conservation (ANAGPIC), Buffalo State College, April 24-25, 2009. The Fowler Museum at UCLA houses a collection of Japanese polychrome wooden masks. A pair of these masks, identified as “honomen” (gift or dedication mask), was attributed to the same maker based on their stylistic similarities. The museum records stated that the masks were dated to the 18-19th century and made in the style found in the Kyūshū region of Japan. However, neither the pairing nor provenance of the masks was supported by any textual or technical evidence. The poster presented here summarizes the preliminary results from a comparative technical investigation on the Fowler masks, as a part of the research to answer the questions regarding the masks’ provenance and their paired attribution. Analytical techniques such as wood characterization, polarized light microscopy (PLM), x-ray fluorescence spectroscopy (XRF), x ray diffraction (XRD), gas chromatography-mass spectrometry (GC-MS), pyrolysis-gas chromatography-mass spectrometry (Py-GC-MS) and micro-chemical analysis using environmental scanning electron microscopy (ESEM-EDX) were used to determine the masks’ material composition and methods of manufacture. The analytical results, combined with studies on the masks’ context of use and iconographic origins, provided material evidence that the masks were manufactured in close association with one another, although there was no firm evidence to establish that they were indeed manufactured by the same hand. Furthermore, identifying vitreous pigments on one of the masks pushed the mask’s estimated date of manufacture to 19th-20th century. This finding also added knowledge to a class of pigment not widely used in the Japanese palette until modern times. Built upon the analytical understanding of the Fowler masks’ material composition and present condition, the research project concluded with a conservation treatment to improve the long-term stability of the polychrome. The most urgent treatment priorities were stabilizing the fragile matte paint surface and locally reinforcing the structural defects on the masks. Due to time constraints, consolidation of the paint was performed only on the red mask. Major structural defects on both masks were reinforced by filling the cavities in the wood with a light-weight and mechanically-reversible fill made of rolled-up Japanese paper, capped with a light-weight putty made from Acryloid B-72 bulked with glass microballoons for a better seal. The fill was then inpainted with Liquitex acrylic emulsion paint to reduce the color contrast between the fill and the wood. Categories: Uncategorized | Tags: acrylic paint, Acryloid B-72, ANAGPIC, analysis, binding media, calcite, characterization, conservation, conservation program, environmental scanning electron microscopy (ESEM-EDX), Fowler Museum, gas chromatography-mass spectrometry (GC-MS), glass microballoons, ground, Japan, Kyushu, Linda Lin, Liquitex, paint, paint layer, pigments, pyrolysis-gas chromatography-mass spectrometry (Py-GC-MS, thesis, UCLA, UCLA/Getty Program, wood, x-radiography, x-ray diffraction (XRD), X-ray fluorescence (XRF), x-rays | Permalink. Consider donating to the Conservation Student Support Fund to sponsor student stipends, travel and research. Your gift will help train the next generation of conservators in the preservation of our cultural heritage. To donate, select the Conservation Student Support Fund from the drop down menu on the Cotsen Institute of Archaeology Online Giving Site. Thank you for supporting the UCLA/Getty Conservation Program.